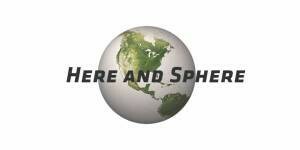 We at Here and Sphere send our holiday best to you as always. Some of you celebrate Christmas as a religious event; others savor its cheer and happiness for their own sake; some of you celebrate joy and happiness under a different name. Whichever of these rituals you observe, we embrace your observance and wish you bright days, weeks, months ahead. For many of us, 2018 has been a second year of trial. As we wrote last year, most of us did not vote for Mr. Trump and dislike his behavior in office. I think I can say that most of us react to his presence with disappointment, even heartache; some with anger. As we are politically minded, we share these reactions fully. Almost every day we have wanted to yell, to scream, to wish Mr. Trump gone. Having ousted his supporters from control of the House of Representatives, however, we can look forward to better legislation in Washington, to some measure of respect for immigrants, LGBT, those of other faiths than Judaism and Christianity, and for marginalized people generally. I ask that for these next few holiday days we set our entirely justified disgust for Mr. Trump aside, that we focus on what is nearest and dearest to us : our family, friends, and our pets; our neighbors and our work colleagues. Remind ourselves that those who share our life journey are loved by us and love us in return and that that love binds us and blesses us, daubs us in glory, renders us immortal even in mortality. We can never forget those who love us and have our backs, just as they can never forget us. Those who have our backs, and whose backs we have, are male, female, transgender, gender-fluid. They are straight, gay, bisexual. They have all kinds of skin colors, come from every sort of culture and national origin, worship all sorts of gods or none at all. Some who have our backs, and whose backs we have, are not American but Canadian, or French, or German — Catalan — Chinese — Russian — Colombian — Salvadoran –Vietnamese. They are Italian, Iraqi, Irish, Iranian, Hindu, Haitian, Korean and on and on and on : for our backs have no nationality, they are human backs backed by anyone from anywhere who stands behind us as we behind them. Thus our message : celebrate the day and its rise-up meaning, and invite all who love you, and who you love, to celebrate with you, harmonious and glad of it. Truly I say to you : let the angels sing. All the angels. Your hatred for our great President is disgusting. We hope thus to disgust you every day until he is gone.